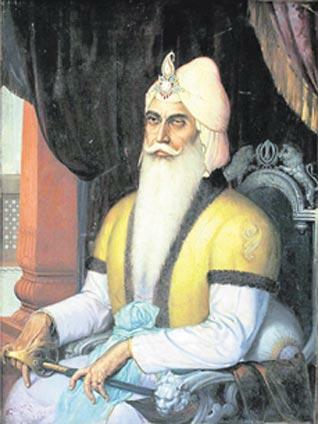 An oil portrait of Sikh ruler Maharaja Ranjit Singh by celebrated artist Sobha Singh fetched Rs 1.04 crore while a famous pearl canopy of Baroda sold for Rs 10.30 crore at a Sotheby's auction here. The total sale at the Indian and Southeast Asian Works of Art auction was $9,431,375, the auction house said. The portrait by Sobha Singh, 39 by 29 inches in size, bore his signature on the lower left portion. It shows the Maharaja seated on a lion-crested silver throne wearing a richly brocade coat and a jewelled turban, with his sword resting on his lap. A copper Manjushri figure from the 11th/12th century sold for $2,322,500. An opaque watercolour heightened with gold on paper of Maharaja Arjun Singh with his courtiers sold for $27,500, four times its pre-sale upper estimate while another painting of Maharaja Man Singh fetched $16,250, twice the estimate. A ceremonial dagger, Damascus steel blade with 2 ivory hilt from South India, Madurai, also exceeded its $20,000-30,000 estimate to sell for $158,500. On the other hand, the exquisite bejeweled and pearl canopy was created en suite with the world renowned Pearl Carpet of Baroda that was sold at Sotheby's Doha on March 19, 2009. These are the only two surviving pieces from an ensemble of five commissioned in 1865 by then Maharaja of Baroda, Khande Rao Gaekwad (1856-1870). The foundation of silk is densely embroidered overall with a design worked in strings of natural 'Basra' pearls, measuring approximately 1-3mm, and English coloured glass beads. Approximately 9,50,000 pearls and beads have been used to decorate the field. The suite comprised four rectangular carpets, one being the aforementioned sold 'Pearl carpet', and one circular, the lot offered here. This masterpiece was reputedly intended by the Maharaja as a gift to the tomb of the prophet Mohammed at Medina showing his admiration and esteem for Islam. For over 100 years, the Pearl Canopy of Baroda has been hidden from public view. The 1903 Delhi showcase of Indian Art is the last time the canopy was on view until its sudden appearance in 2010 in the exhibition 'Maharaja: The Splendour of India's Royal Courts' at the Victoria and Albert Museum, London. 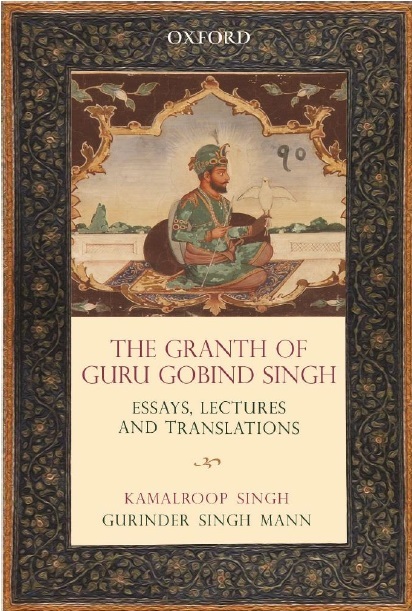 Other sales included an illustration to the Gita Govinda ($4,22,500), an album of Ragamala paintings ($27,500) and a prince visiting his harem in a palace courtyard ($37,500). PTI: Apr 4, 2011, NEW YORK. Also see Auction of rare artwork at Southeby's raises questions.